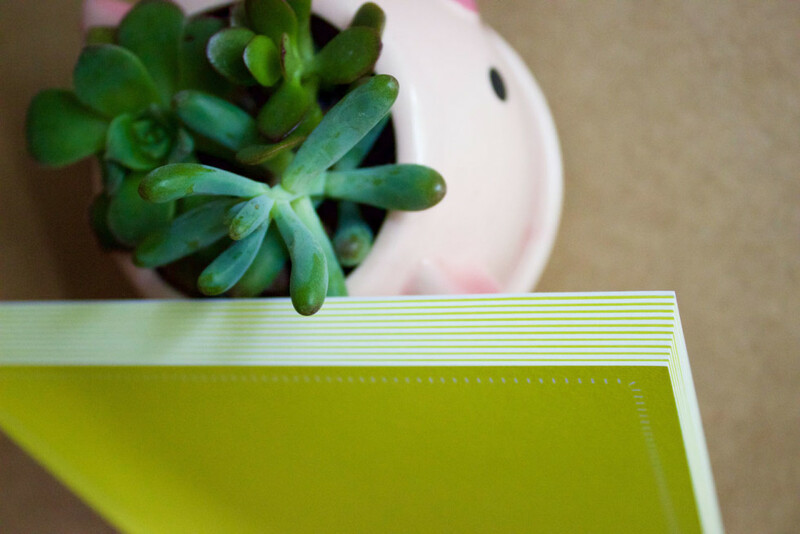 5.82” x 4.13” FLAT CARD. 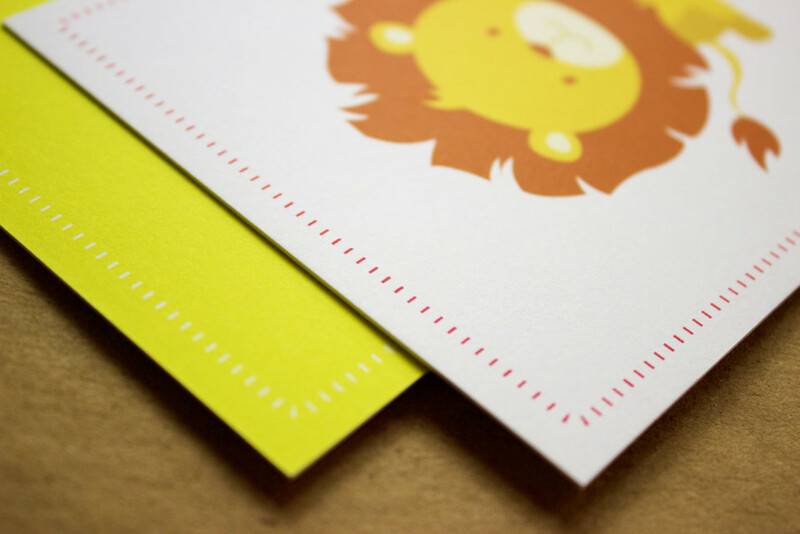 Printed on high-quality 32pt (thick) cardstock. 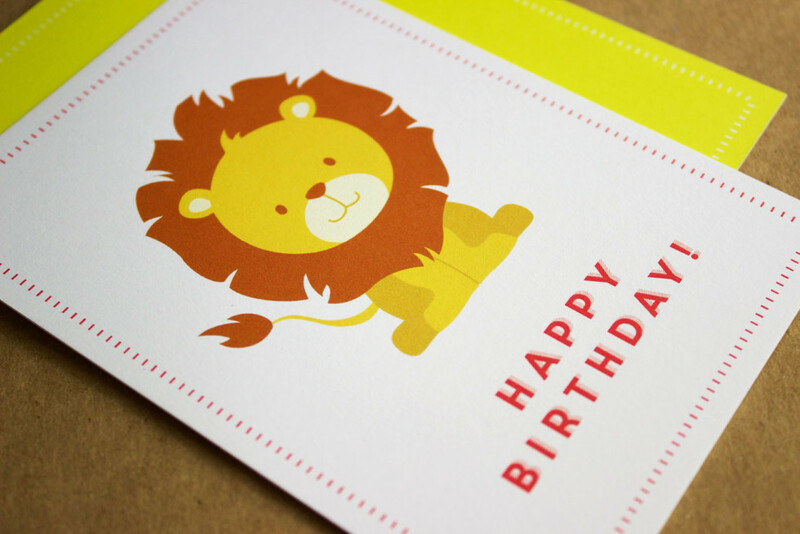 Original lion illustration and “Happy Birthday” text on the front, fun pop of yellow color on the back. 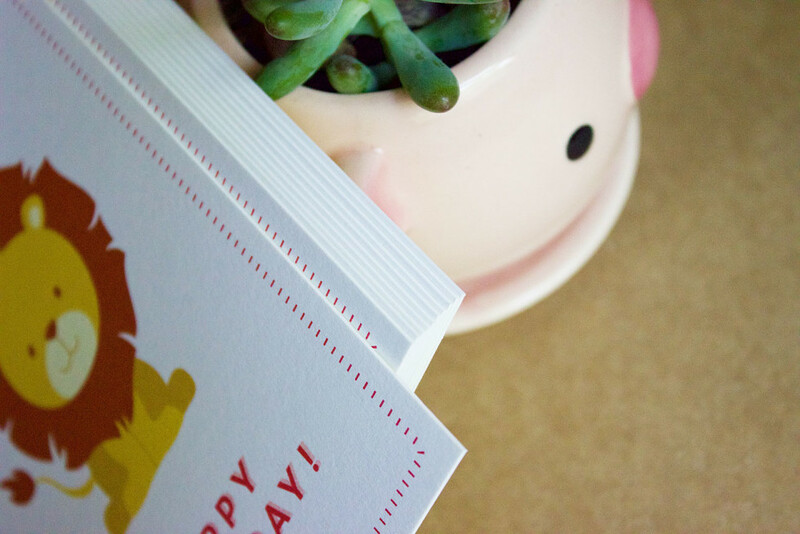 Back of the card is left blank with an easy-to-write-on surface. 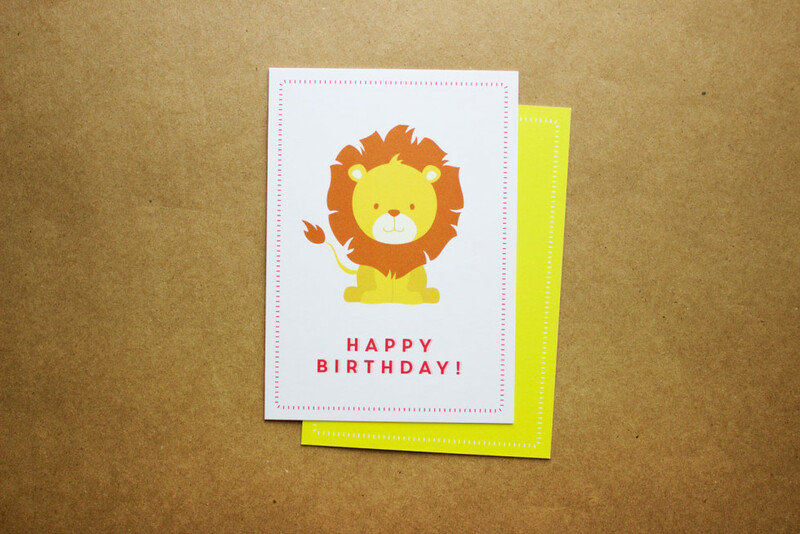 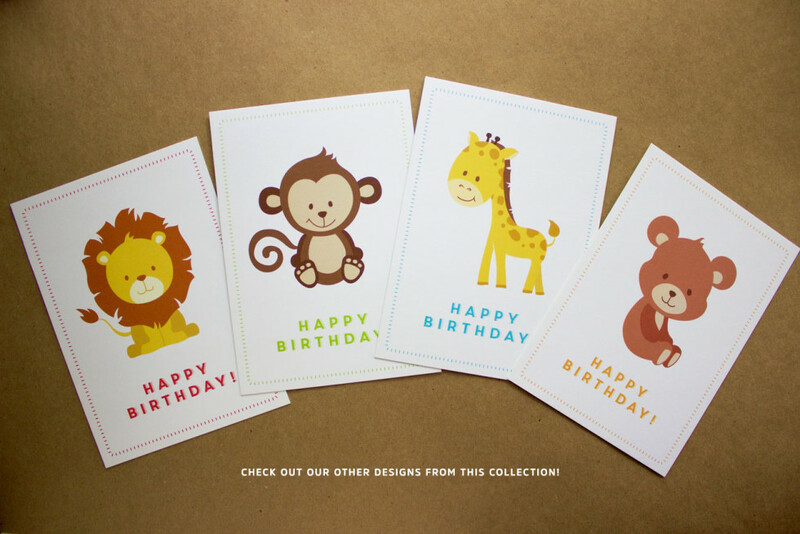 This card can be used as birthday cards, notecards, postcards, party invitations, or for your favorite kid!